Bullied as a child he turned to crime and created VIPERA. 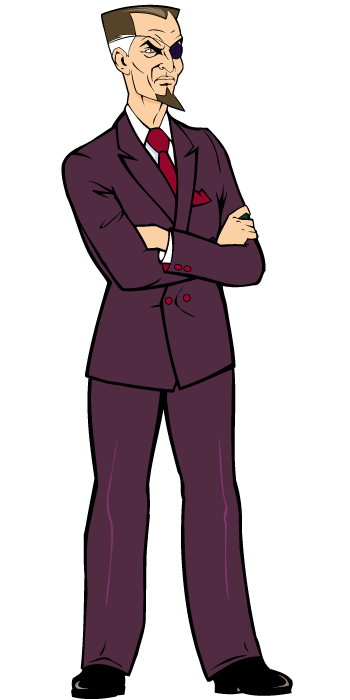 Born Dexter Viderius (Dr. DIVIDER), boss of VIPERA crime syndicate. VIPERA is one of the largest crime syndicates in the entire world, and exerts influence in nearly every single imaginable area of business and industry. VIPERA controls internet platforms, oil wells, manufactures sugary foods, produces chemicals, distributes FAKE NEWS, among many, many other areas of business. The torch of VIPERA will be passed down to his son and only family, Junior, who really just serves as Dr Divider’s puppet and mouthpiece. His every move is still really dictated by Dr Divider from the background. Dr. Divider’s relationship with his son is troubled and fraught with difficulty. While Dr. DIVIDER loves his son dearly, he recognises his son’s business incompetence and vanity, and secretly fears greatly for the future of VIPERA, after he is gone. He knows all too well that his son will be incapable of managing the SYNDICATE without him. THE GLOBAL TOURING CIRCUS (GTC) was a huge European travel and entertainment company which went bust and was bought out by VIPERA. Dr. DIVIDER uses this travelling circus as his covert base of operations and as a cover for recruiting members around the world to join his empire. 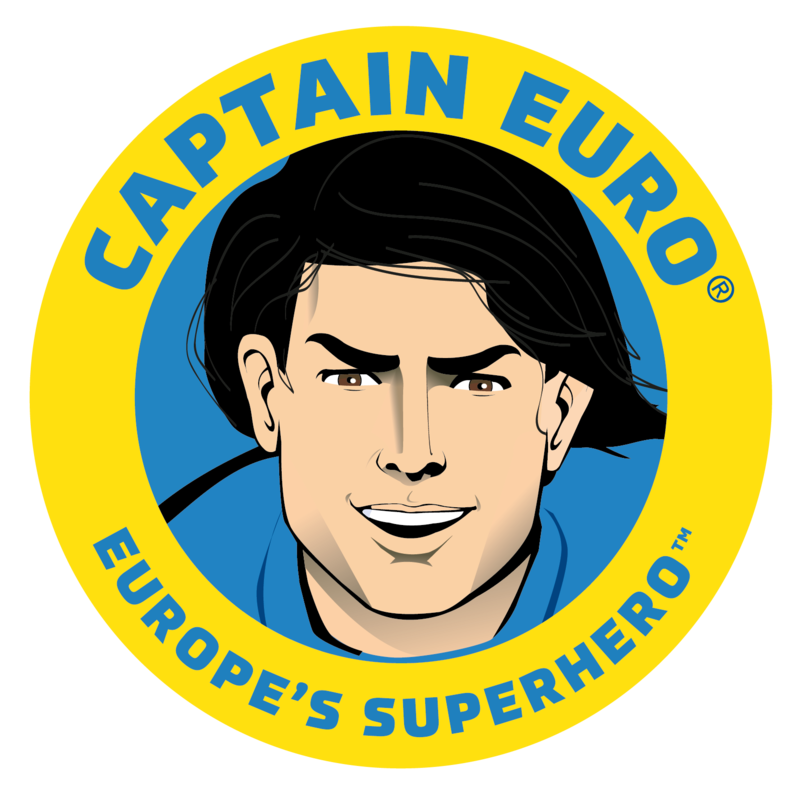 Since setting up his base in the Global Touring Circus, Dr. DIVIDER has found himself a new objective which he knows will reward him greatly; destroy Captain Euro and the European Superforce. He believes that doing this will create chaos and a climate of absolute global economic disaster which he can use to secure cheap investments and developments. As a result, Dr. DIVIDER despises Captain Euro and everything that he stands for. Dr. DIVIDER is a passionate collector of art, antiques and rarities and owns an immense collection. One curious aspect of his character: Dr. D. Vider loves the thrill of thievery, and displays some symptoms of kleptomania when going art shopping! Many of the priceless artifacts and works of art which adorn his office and home are stolen; despite him having more than enough money to have purchased them all 100 times over. Dr. DIVIDER is physically quite old and out of shape, and he knows fully well that if his rivalry with Captain Euro were ever to reach a physical confrontation, his chances of winning are zero. This is why his close inner circle is a specially assembled crack team designed to counter many of the EUROPEAN SUPERFORCE’s strengths. 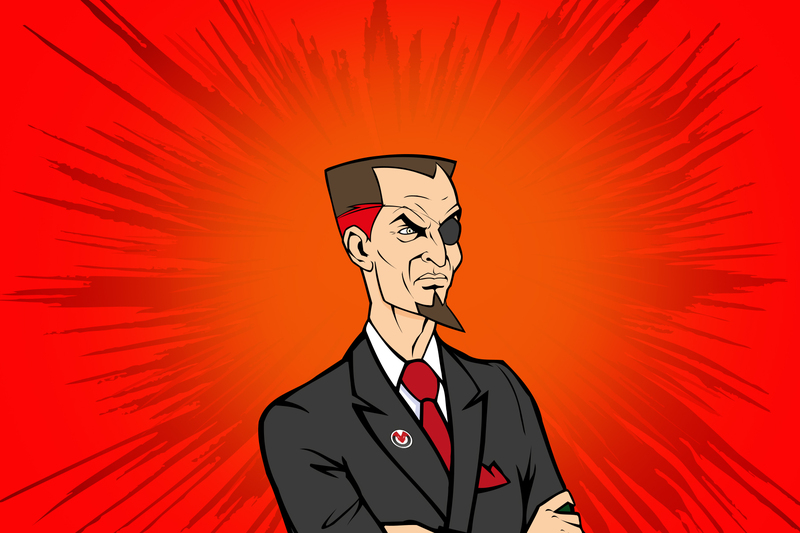 Dr. D. Vider is blind in one eye, as a result of an injury suffered during his first encounter with Adam Andros – Captain Euro. Though he does not need it, he wears his eye patch as a constant reminder of his rivalry and desire to get even. He hopes one day he can repay the favour in kind, and blind Captain Euro in both eyes. Dr. D. Vider has an incredibly elaborate and complex network of bots and viruses around the world which enable him to hack into a large number of most cities’ CCTV feeds. This network took him many years to build and he uses it to great effectiveness.